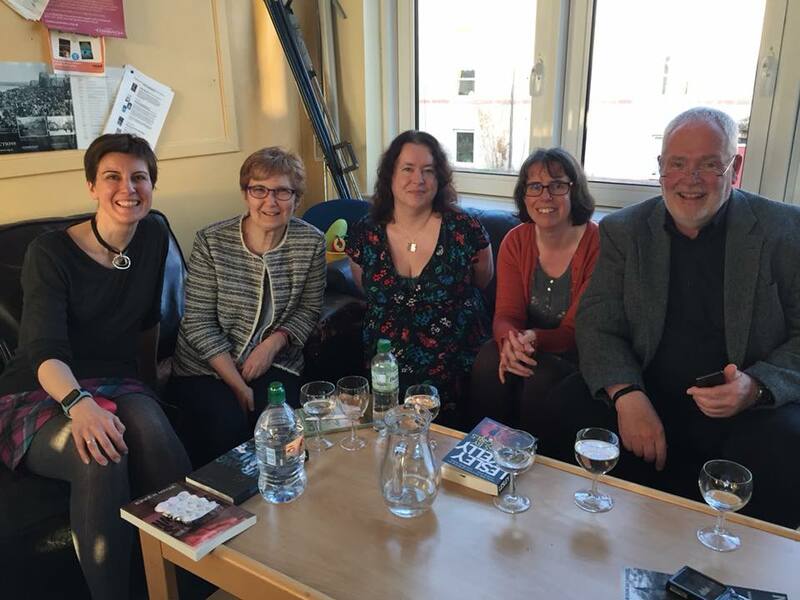 Last Tuesday evening, Wendy H Jones, Lesley Kelly, Caroline Dunford, Mac Logan and I were being accused of murder. Again! 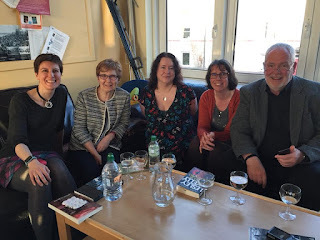 We were all at Portobello Library doing a book event, during which, a "body" was found in the library. Naturally, we were all suspected of doing the dirty deed and were questioned by a passing "detective" (Caroline's husband!). It was a fabulous evening and the audience seemed thoroughly entertained by us all larking about, making stuff up! Although we were all given briefing notes, none of the evening was scripted and there was a lot of off the cuff embellishing, along with a fair chunk of the authors heckling each other. The authors didn't know what questions they were going to be asked by the "detective", though we did know which one of us had "done the deed". Brilliant evening and hopefully more to come. I have one signed paperback copy of Lesley Kelly's Songs By Dead Girls to give away. I reviewed the book last week - see here if you missed it. All you need to do to be in the draw to win it is to sign up for my newsletter by midnight (BST) on May 20th, 2018. A winner will be drawn from the list of newsletter subscribers and emailed in the week following the end of the competition. If there is no reply within three days, the next name drawn will be contacted. If you are already signed up for my newsletter, you do not need to sign up again; you are already eligible for the draw.